Well guys,I got a chance to race my R/T against everything with a new hemi in it. I ran it stock--no tuner,306 gears-- but I do have a CAI & 3" exhaust. I got to see stock times for just about every V8 model as well as tuned & modified dodges--stick and autos. 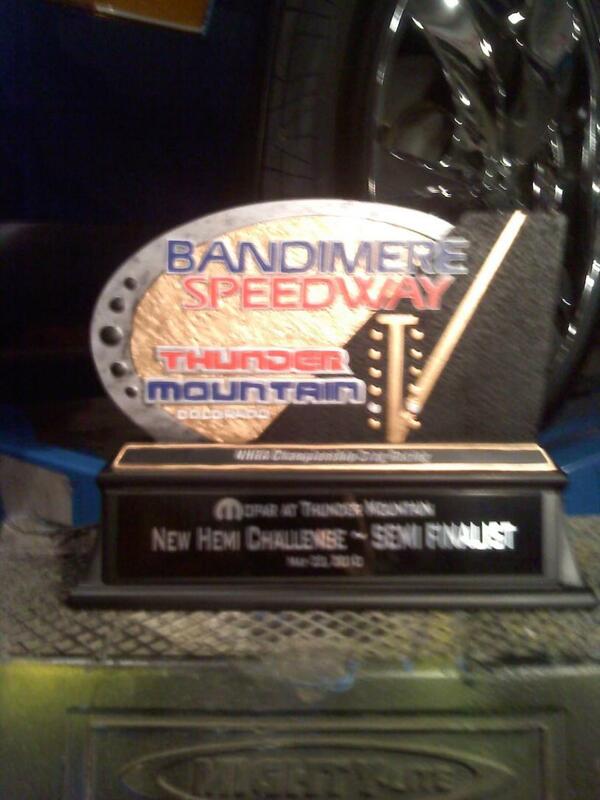 With only 3 cars left at the end we filpped a coin--one car(ChargerSRT)got a bye to the final,I had to race last years champion to go to the final--I red lit by .002 and ended up Third--they only gave trophies for first,second,third so I'm still happy--I waded though alot of rounds to get there. It was fun. Now I'll install the Diablo tuner and 3.55 gears and see how much my ET, drops. Very cool, way to REPRESENT !